HEOS is a wireless music system that allows you to control all your music effortlessly from anywhere in your home. All you need is one or more HEOS-enabled AV receivers or speakers and the free app. HEOS now works with Amazon Alexa voice control. Sonos is the wireless Home Sound System that fills as many rooms as you want with great-sounding music, movies and TV. Stream via WiFi. Play whatever you’re craving. Put your speaker wherever you want. Plug it in. Tap the app – it connects to your WiFi and you’re ready to rock. Just like that. No wires. No tricky programming. 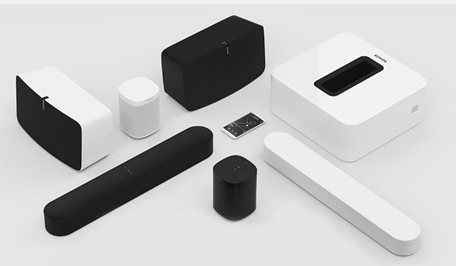 Mu-so is a wireless music system. Commanding 450 watts of power through six custom-designed speakers, Mu-so creates an experience of music that has to be heard to be believed. It’s simple to use connectivity includes AirPlay, Bluetooth®/aptX®, Spotify Connect®, TIDAL, UPnP™ (access stored music), Internet Radio, Multiroom, USB, Analogue and Digital inputs, Apple iOS and Android apps for complete control. 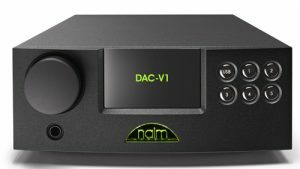 Combine Mu-so, Mu-so Qb and other Naim streaming products for the ultimate multiroom experience. 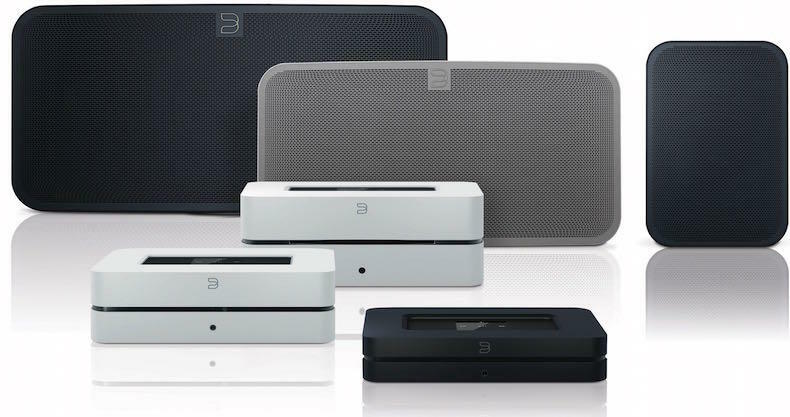 Mu-so Qb is the compact wireless music system. 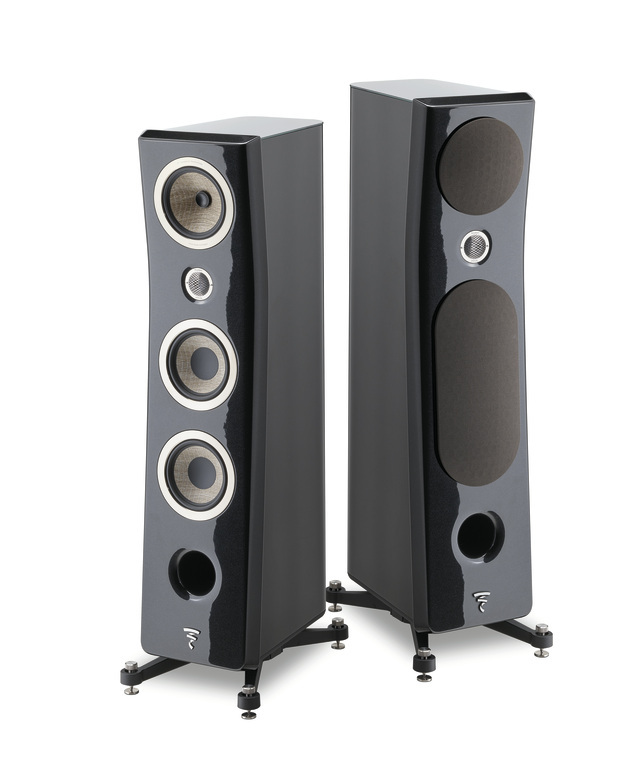 It delivers a staggering 300 watts of power that unmasks your music with a sound that defies size. It’s simple to use connectivity includes AirPlay, Bluetooth®/aptX®, Spotify Connect®, TIDAL, UPnP™ (access your stored music), Internet Radio, USB, analogue and digital inputs, Apple iOS and Android App for complete control. 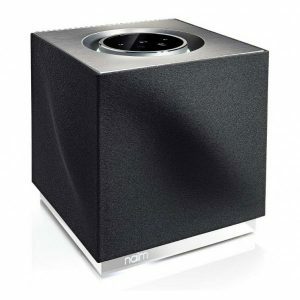 You can also combine Mu-so Qb, Mu-so and other Naim streaming products for the ultimate multiroom experience. The Uniti Star has the ability to play, rip, store and serve your treasured music collection. Stream your music in high-resolution, play or rip your CDs, tune in to your favorite radio stations, access a world of music with a host of streaming services and dramatically improve the audio quality of your TV or games console. Ready to go with practically any speaker set-up, Uniti Star will have you rediscovering your entire music collection with a deep, immersive sound. The NAD C 658 is a new kind of stereo component, one that at once changes preconceptions and opens new possibilities for audio reproduction. As we move deeper into the 21st Century the way music is distributed and enjoyed continues to evolve away from physical media to streaming. It also has moved away from analog to digital. The C 658 has incorporated these fundamental truths to create an entirely new type of component that combines a Network Streamer, a state-of-the art DAC, and many aspects of the traditional Preamplifier into a single highly cost-effective package. 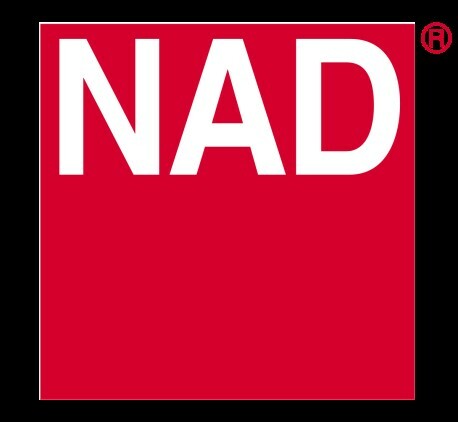 And thanks to NAD’s exclusive Modular Design Construction, it will keep pace with the latest technology, not yet introduced, but inevitably coming in the future. With its 111 Musiccenter Burmester clearly sets a new world standard for the era of digital music reproduction. 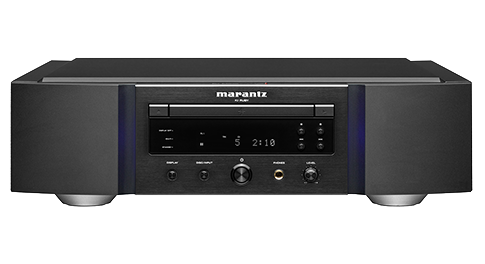 This audiophile masterpiece offers music server, CD player and CD ripper as well as a DAC and an analog preamplifier in one groundbreaking unit. Its full-function analog preamp section can serve as the central control unit of any music system. 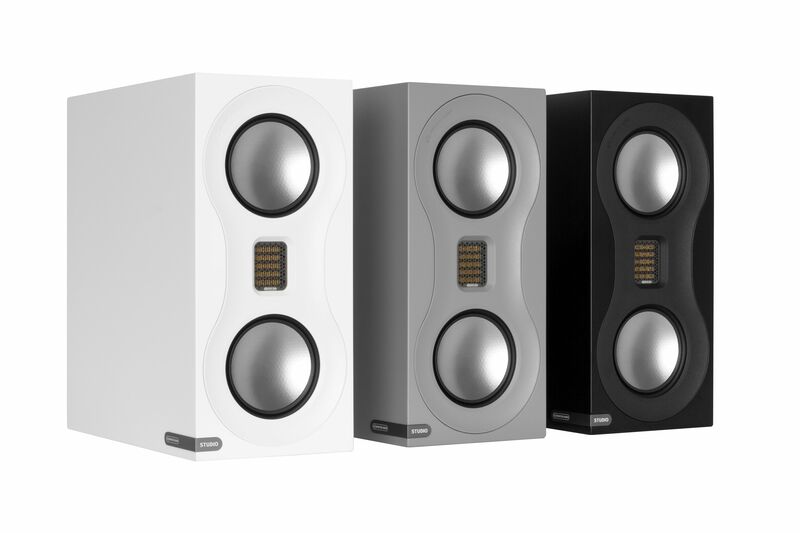 With three analog and six digital inputs it offers music lovers great connectivity for a multitude of external sound sources. The 111 Musiccenter can be controlled either via the apparatus, by means of a web browser, or via an iPad®, using the specially developed Burmester app. It is also possible to stream music via WLAN. The Bryston BDA-3 is a world class DAC that is packed with the perfect mix of features making it an essential part of your digital audio chain. The BDA-3 delivers superb sonic performance through re-sampling and re-clocking of the digital input signal. With the exception of user-selectable up-sampling, the BDA-3 doesn’t convert anything to another format or re-sample at a non-native rate. BDA-3 has PCM playback capable of 384kHz/32 bit resolution and is fully DSD enabled. The BDA-3 can decode up to DSD-256, through asynchronous USB inputs, and accepts SACD input via HDMI. The HD30 is a digital-to-analog converter. The master clock was designed from the ground up and we went to great lengths to design an ultra- low noise power supplies and shielding from outside interference. The musicality of the HD30 is at a level never before heard. You can experience instruments and virtually feel the room they play in. The DAC-V1 is perfectly optimized for modern digital listening. 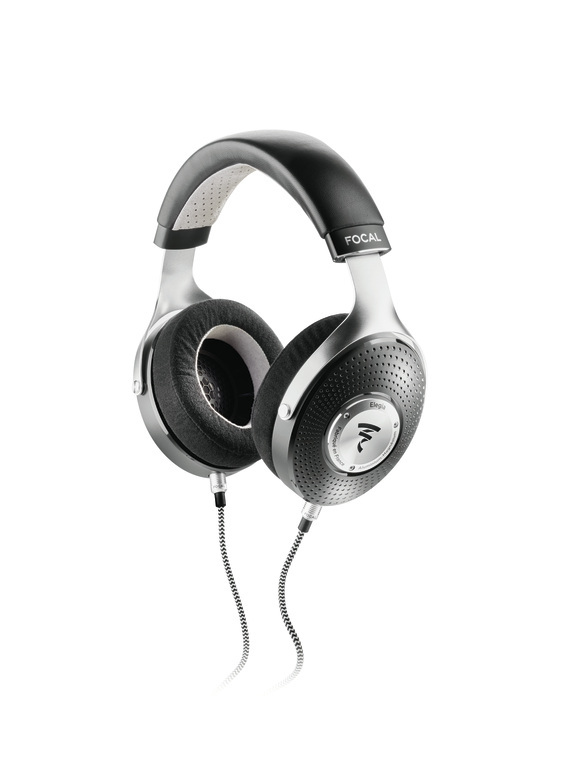 It features an asynchronous USB input – ideal for getting stunning sound quality from your computer. It has single-ended class-A headphone amplifier and the output stages of this amplifier are kept as pure as possible, ensuring outstanding sound quality for headphone listening. The DAC-V1 is DSD compatible and able to play 64 (2.8MHz sample rate) and 128 files (5.6MHz sample rate); the upgrade required significant optimization of the core DSP code which has also improved sound quality. The SA-KI Ruby Signature Super Audio CD Player with DAC player has been developed and tuned by a highly experienced engineering team led by Ken Ishiwata. By up-converting all file formats to DSD, using advanced filtering and processing and direct 1-bit conversion to feed the analog outputs, the SA-KI Ruby delivers sound with remarkable clarity, effortless dynamics and exceptional presence—plus, features a laser-engraved Ken Ishiwata signature to commemorate his legacy. 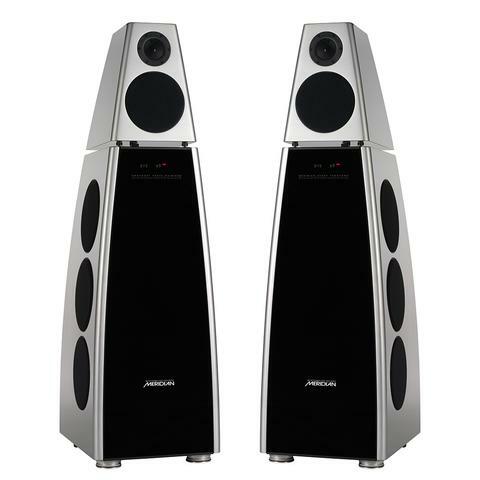 The CD-2 is designed for audio only. The Lyngdorf Audio philosophy is to get the audio signal as clean as possible and to do the optimization based on the Lyngdorf Audio precision clock system. Resampling the output of the CD drive to a low-noise clock suppresses the level of jitter artifacts in the output signal to an absolute minimum. Our state-of-the-art sample rate converters, using special low-noise design techniques, enable the CD-2 to upsample the digital output of the audio drive to a selectable output rate. A major advantage of this is that you can adjust the output for the optimum operating point of a D/A converter. The digital output can deliver 24-bit resolution at a sample rate up to 192 kHz. The analog output section is upsampled in a parallel process to 96 kHz.